Sen. Ron Wyden (D-OR) wasn't just against President Donald Trump's pardon of former Sheriff Joe Arpaio--he went as far as to say that the pardon was a violation of the Oath of Office. On Twitter, Wyden said that pardoning Arpaio sent a message that as long as a person supports Trump, they will be permitted to break the law. 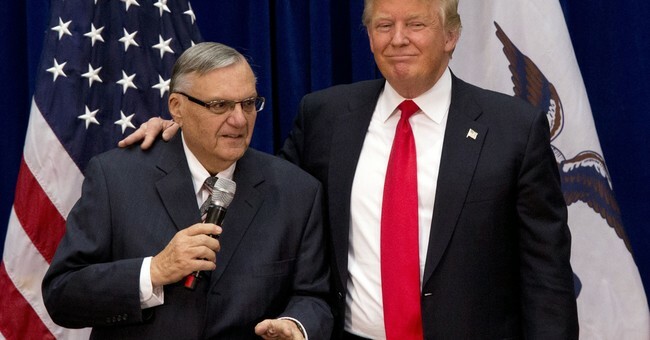 The Arpaio pardon says, if you are a law-enforcement official who supports Trump, break the law & he'll protect you. This strikes at the heart of the rule of law in America. It violates his oath of office. While Arpaio's pardon was controversial on both sides of the aisle, most members of Congress have admitted that Trump is well within his rights to issue the pardon. Most people, Wyden aside, do not believe that the pardon would violate the Oath of Office. Arpaio was convicted of contempt and faced up to six months in prison. He served as sheriff of Maricopa County in Arizona until 2016, when he lost a reelection bid. Arpaio is known for his tough anti-illegal immigration stance.